Witness says Mardi Gras crash suspect looked "out of it"
NEW ORLEANS -- A man who allegedly plowed into a crowd enjoying the Krewe of Endymion parade on Saturday in the Mid-City section of New Orleans is being investigated for driving while intoxicated, police said. “We suspect that that subject was highly intoxicated,” Police Chief Michael Harrison said on Saturday evening. Harrison was asked twice by the media if terrorism was suspected. While he didn’t say “No” he did say it looks like a case of DWI. Speaking separately to CBS News, a New Orleans police spokesperson said the incident was not terror-related, and an official at the Department of Justice confirmed to CBS News that there was no suspected link to terrorism. 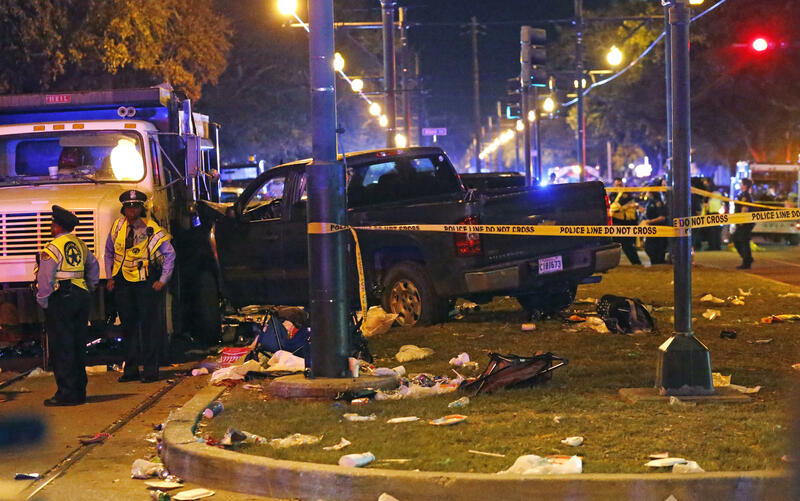 CBS affiliate WWL TV said, according to witnesses, that the driver of the pickup truck revved its engine before speeding forward and slamming into cars and then veering out of control into the crowd gathered for the hugely popular Krewe of Endymion parade. The driver eventually came to a stop after slamming into a dump truck.